Thanks to all the players who came to this Eternal Weekend! 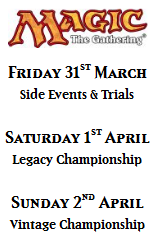 We are pleased to note that the Eternal Weekend Europe 2017 is already a success since we just sell the last place available for the Main Event Legacy! This limit of 450 players, decided in concertation Wizards of the Coast, is there to ensure that each participant will play in the best conditions possible. This means we won’t be able to take more registrations neither on the internet or on-site. There will be no waiting list, this often generating more frustration than positive experiences. If you signed up for this main event, don't forget that the tournament starts at 9:00 AM and you will have to go throught the security in order to reach the site. So, we encourage you to arrive at the venue around 8:30 AM in order to avoid any unnecessary stress. 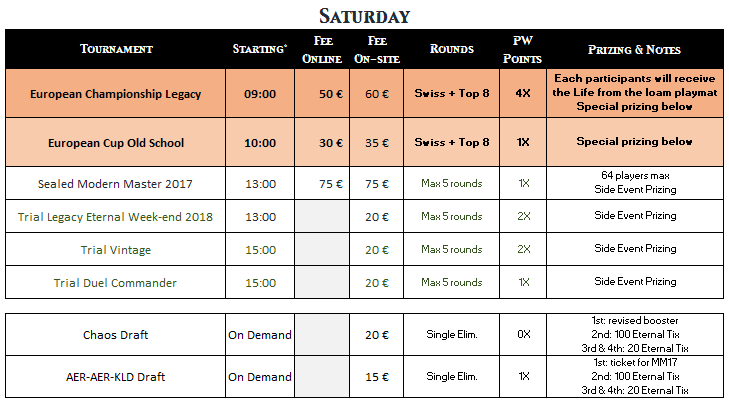 Registrations for the other tournaments of the weekend are still available on our website, so please do not hesitate to register if it's not done yet! Welcome to one of the most famous artists of Magic! 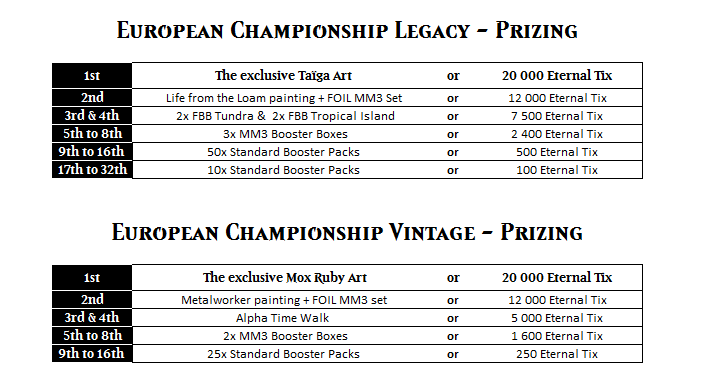 Original Arts are exceptional prizes for the winners of the Main Events Legacy and Vintage during the Eternal Weekends, their value reaches several thousand euros. 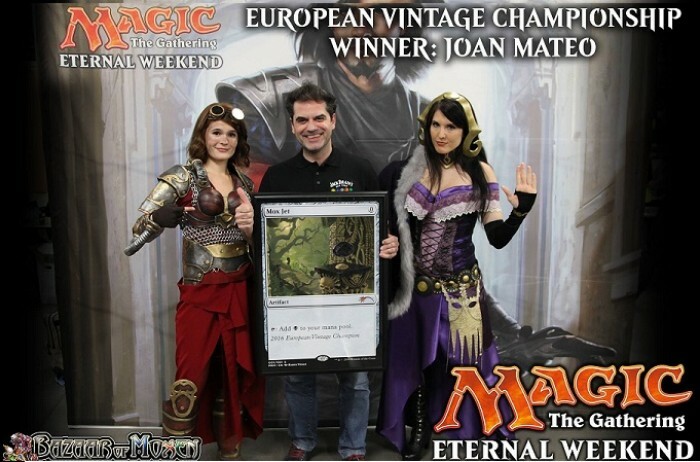 And here are the Original Arts of the next Eternal Weekend in Paris!